It would have been a strange situation to find yourself in, that the ideas you’d grown up with turned out to be out-of-fashion, and that what you’d been working for your whole life turned out to be worthless. It happens every so often to some people, but rarely at the scale of a whole country. In her latest work, Svetlana Alexievich, the winner of Nobel Prize in 2015, tackles exactly this strange phenomenon during the collapse and the aftermath of the collapse of the Soviet Union. We read about people who grew up believing in the communist ideals found themselves at odds with the new ideology of capitalism, people who were once enthusiastic about the brave new world and later regretted it, people who fell to extreme poverty in the economic crises following the collapse, people who remembered others who were sent to gulags, executed, people who couldn’t forget their loved ones’ committing suicide. 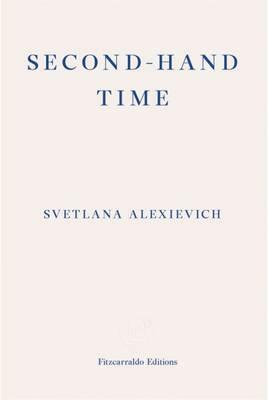 Much like her book on the aftermath of the Chernobyl nuclear disaster, Second-Hand Time is a moving account of how the little people live through one of the most important moments of the late 20th century. It is, at the same time, a disturbing read: do the regret of the collapse of the Soviet Union and the nostalgia of that lost era somehow explain the Russia today?